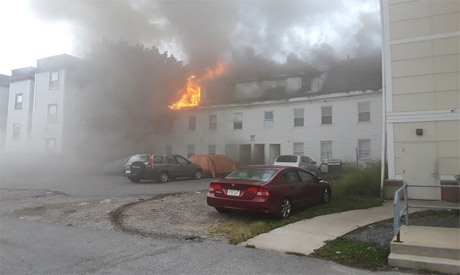 Fire investigators suspected "over-pressurization of a gas main" belonging to Columbia Gas of Massachusetts, a unit of the utility NiSource Inc, caused the explosions, Andover Fire Chief Michael Mansfield told a news conference. "At this time, the focus remains on ensuring the public safety," Baker said. "Once that's complete, we will work with federal government and others to investigate how this occurred and hold the appropriate parties accountable for their actions." NiSource spokesman Ken Stammen said Columbia Gas was investigating. The U.S. Department of Transportation's Pipeline and Hazardous Materials Safety Administration said it was sending a team to support the state's emergency response efforts. "There could be still a gas leak in your home," Rivera said. "You can't see it and in some cases you won't be able to smell it and God forbid you go to sleep and don't wake up."